Termites and their colonies are highly efficient wood-recycling forces of nature. Known for the damage they cause to homes, termites actually recycle wood back into the soil as humus. However, these insects annually cause more than $2.5 billion in property damage. Termites love wood, but they will eat anything with a cellulose structure, such as boxes, carpet backing, drywall, books and furniture. Termite control is essential in any home with a deck made largely of wood, and preventing these insects from damaging your deck can be a daunting process if a problem isn't noticed quickly. With a few steps, anyone can protect their deck from termites. Replace the foundation of your deck with pressure-treated wood and use aluminum or steel support beams that contact the ground. Decks are in direct contact with the ground and make a convenient ramp for termites, so this area should be fortified first. 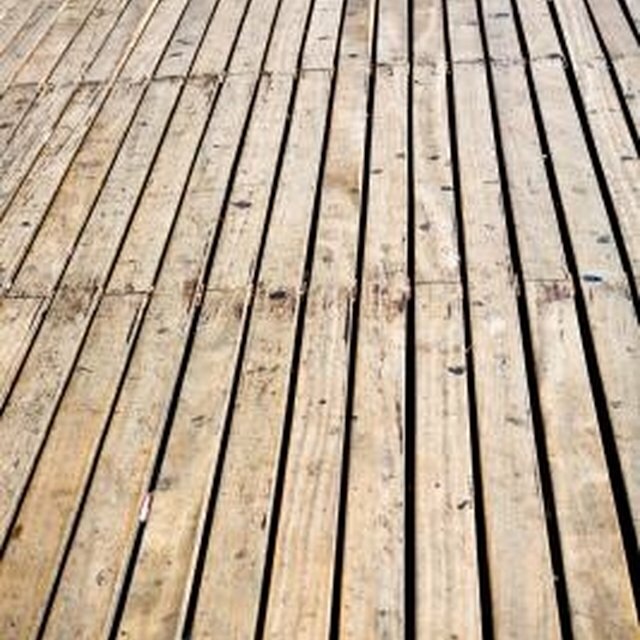 Use treated wood for the entire deck and apply a weather sealant to the entire surface of the deck annually. This will deter the termites from attacking your deck. Hire a pest control specialist to spray the deck once a month for the best termite control. These professionals know how to spray in termite-prone areas efficiently. Remove any wooden items adjacent to the deck that have contact with the ground, such as old boards or wooden-handled garden tools. These form a bridge for termites to gain access to your deck. Place cedar mulch near the deck. This type of mulch deters termites, but after time it must be replaced with new mulch. Keep it near the deck but not directly in contact with it.